Within hours of India voting at the United Nations in favour of a US-sponsored resolution blaming Sri Lanka for alleged human right violations against Tamils, the island nation today said it would take back part of the strategic oil storage depot given to Indian Oil Corp’s (IOC’s) local arm. 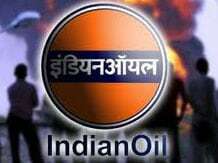 According to reports, Sri Lanka’s information minister, Keheliya Rambukwella, said there was a provision to re-possess tanks not used by Lanka IOC, IOC’s local unit, which had bought a third of the government’s retail oil business in 2003. Subodh Dakwale, the Lanka IOC chief, said his firm was not aware about the government decision. Under privatisation, Sri Lanka had given Lanka IOC the farm of 99 storage tanks in the northeastern port of Trincomalee. The firm had been using 15 of those and refurbishing two at the cost of $17 million. Rambukwella said Anura Yapa, the new petroleum minister, was keen to expand the business of state-run Ceylon Petroleum Corp and wanted to increase its storage capacity. He added the move had nothing to do with India’s stand on the resolution. Bharti Airtel, another Indian firm with significant presence in Sri Lanka, operates there as Airtel Lanka and has a user base of 1.7 million. Its spokesperson said there was no impact on Airtel Lanka’s operations and assets so far.